Can you believe that tomorrow is December 1! Time goes by too quickly. I wanted to end November by sharing with you a few things I've been crushing on this month. I am so in love with these two pair of tights for the winter from Pencey! They are so unique and would definitely have people doing a double take. I love the black/green/dotted ones especially. And how cute is this sweater? 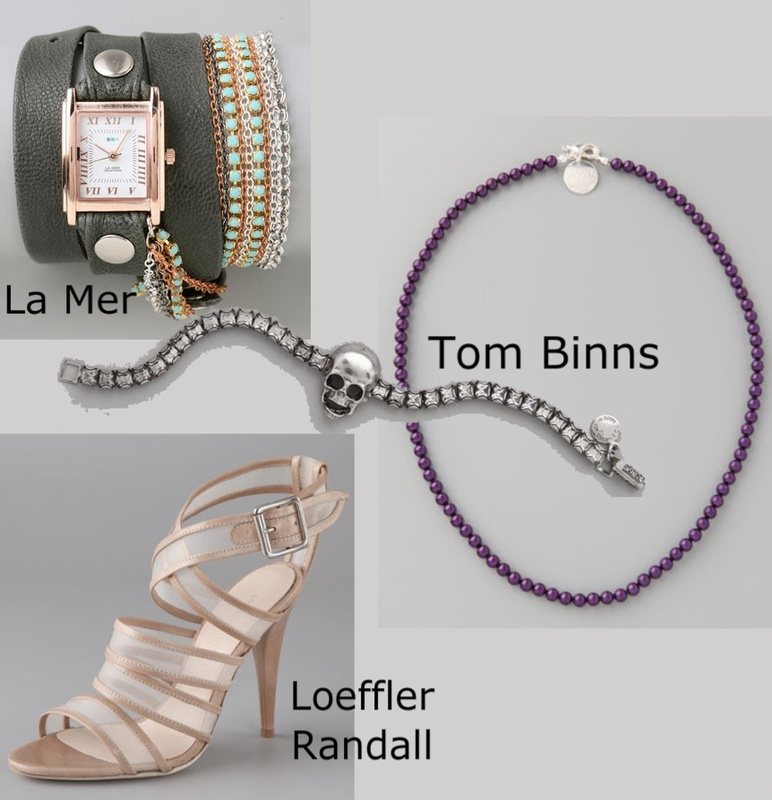 La Mer Collection watch-love how it looks like a wrap bracelet. Loeffler Randall crisscross sandal-Why is it that in the winter I only find summer shoes I want? How cute are these-but it's too cold to wear them now! 291 Vince wrap cardigan-this line is all about comfort! Joe's Jeans honey bootcut- just bought these a few days ago and can't wait to wear them. I bought them at a local boutique and they are hemming them for me (free!) They are so comfy and soft! Will outfit post them soon. There are many many things that I'm currently crushing on but I didn't want to overload you. I just wanted to share a few things with you for now. In December I will be doing a few wish/lust lists-and one is completely dedicated to shoes! Hope everyone is having a great week! Love La Mer's wrap watches! Aren't Joe's Jeans great? Sadly I just ripped a pair I had; the story and photo on my blog! Can't wait to see yours once they are hemmed.